(i) Jagran Prakashan Limited Incorporated in 1975, Jagran Prakashan Private Limited (BSE: 532705| NSE: JAGRANEQ)is a leader in Printing with the flagship newspaper brands – Dainik Jagran, Mid-Day, and Naidunia and Radio brand Radio City. (iii) Radio City 91.1 FM – India’s first & leading FM brand has been synonymous with the category since its inception in 2001. Without of the box innovations, ideas and well-researched music forming the crux of all the programming initiatives, Radio City 91.1 FM has been able to strike the right chord with the listeners making it a pioneer in radio in India. Innovative programming and marketing initiatives have helped Radio City pioneer FM in India. In phase III auction, the network has expanded its footprint by efficiently adding 11 new markets after carefully selecting towns with greater SEC AB population. With the addition of the new towns and addition of Radio Mantra towns, Radio City reaches to 39 most important towns of India dominating the most important advertiser markets. (iv) Digital Media In Digital Media Jagran Prakashan has Leading across diverse genres of Hindi News and Education, Jagran New Media, with over 85 mn+ visitors is one of the top digital media platforms in the country. (v) OOH, Jagran Engage provides bespoke Out of- Home marketing services across India. They offer a comprehensive portfolio of solutions to suit customized client requirements. Their services encompass planning, creative adaptations, competitive landscape, data on traffic count and post-campaign results. The Board of Directors of Jagran Prakashan Limited at its meeting conducted on Friday, 27 April 2018 passed a resolution to buyback the equity shares of the Company and sought approval of its shareholders, the results of which were announced on Saturday, 2 June 2018. by way of special resolution, the buyback of up to 1,50,00,000 (One crore and fifty lakh) fully paid-up equity shares of face value INR 2 each from all the existing shareholders/ beneficial owners of Equity Shares of the Company as on the Record Date (Friday, 15 June 2018), on a proportionate basis, through the “Tender Offer” route, at a price of INR 195 per Equity Share payable in cash, for an aggregate consideration of INR 292,50,00,000 (Indian Rupees Two hundred ninety two crore and fifty lakh) (the “Buyback Offer Size”). (i) Assuming full Acceptance, the funds that would be employed by the Company for the purpose of the Buyback of upto 1,50,00,000 (One crore and fifty lakh) Equity Shares at a price of INR 195 (Indian Rupees One hundred and ninety five only) per Equity Share would be INR 292,50,00,000 (Indian Rupees Two hundred ninety two crore and fifty lakh only). (ii) Buyback will be met out of internal accruals, retained earnings, cash and bank balances and investments made by the Company. The Company shall transfer from its free reserves, a sum equal to the nominal value of the Equity Shares bought back through the Buyback to its capital redemption reserve account and the details of such transfer shall be disclosed in its subsequent audited balance sheet. 1. Firstly to be eligible for the buyback the investor should have shares of Jagran Prakashan Limited Buyback in demat or physical form as on Record date 15 June 2018. 2. Once you have shares in demat, you can participate in the buyback process which is opening from 10th July 2018 by selling your shares through your broker on NSE or BSE. 3. Then on 03 August 2018, the payment will be given to you for accepted shares and unaccepted shares will be returned to your demat account. from our side is: Under Analysis. We'll update it soon here. On 17/04/18, Jagran Prakashan indicated its intent to go for a share Buyback. The stock was ruling at Rs. 167.5.
on 26/04/18, the Board meeting decided for a tender route for buyback of 1.5 Crore equity shares of Face Value of INR 2, amounting to Rs. 292.5 Crore. The Buyback price was fixed at Rs. 195 which was at 18.7% premium to prevailing price on the day of Board meeting. The record date for Jagran Prakashan Buyback was fixed at 15/6/2018. The scrip ruled at 159.35 a day before the RD having touched a high of Rs. 174.45 in the intervening period. After the Record date the scrip fell to 146.5. Finally in the Retail category, buyback bids were received from 12809 investors for 7,134,786 shares against the Retail portion of 2,250,000 resulting in 317% oversubscription of the retail. Thus the buyback acceptance ratio worked out to be 30.47%. It is estimated that about 6000 new short term investors may have bought Jagran Prakashan shares to almost their full capacity to participate in the Jagran Prakashan Buyback. This alone was sufficient to exceed the buyback quota by at least 1.5 times. This coupled with a already existing reasonable retail base and increased participation of existing investors in the buyback offer and also tendency to tender the shares due to unfavorable headwinds for midcaps in the bourses, led to substantial tendering of shares. The investors for instance who bought the maximum permissible scrips peritted in retail category (1025 shates) for a consideration of Rs. ~1.69 Lac , finally ended up realizing Rs. ~ 1.46 Lac as a combined result of Buyback of accepted shares at Rs. 195 and sale of remaining shares on receipt at market price. Thus such investor ended with a loss of Rs. 23,000 which amounts to absolute loss of 13.6% in a three month period. 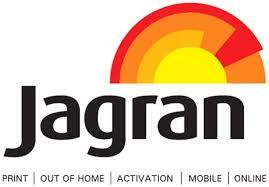 The consequential damage to Jagran Prakashan share from this Jagran Prakashan Buyback buyback has been tremendous. It used to rule at 160-170 levels even before the buyback. Even an inline Q1Fy19 results announced after the buyback have not been able to bring a bounce in the share and the scrip continues to be valued rather poorly. Above Jagran Prakashan Buyback analysis is to bring forth the facts and caution an investor that every buyback may not be profitable and can turn bitter too and more so when mid caps are involved which are already in firing line at the exchanges. Further past trends like 100% acceptance ratio in 2017 buyback should not be used as the basis as investors are now more aware, there is increase in number of arbitrageurs and there is more profit booking tendency at this juncture in the stock markets leading to higher tendering of shares. 30.47% retail acceptance in buyback. This constitutes 4.82% of the outstanding shares. This translates to acquiring 22.5 lac shares from retail investors. In feb 2017 also there was a buy back of 1.55 cr shares @ 195 a piece. Retail eligibility at that time was 23.25 Lac while only 13.5 lac got tendered so 100% was accepted. This time around the number of shares with public is lesser so a 100% acceptance is expected again. With current prevailing rate of 170 the profit at 195 comes out to 14.7% in around 3 months (12.5% post tax return after paying STCG). A pretty good deal. i) the buy back doesn’t go through – a bleak possibility. ii) Acceptance ratio comes down sharply due to very high retail participation – again a bleak possibility given that the shareholding pattern shows just 3.56% (ie. around 1.1cr shares) with Resident individuals. I am sure many of these are HNIs with holding of more than 2lac stipulated for Retail Investor. I am taking exposure of 1050 shares in each of the accounts to take benefit. A quick query that I have, how is the retail shareholder determined in such a scenario. The calculation that I have followed in the past is 200000/. In this case this translates to 200000/195 = 1025 shares.